Back at Google I/O 2017, one of the big new upcoming Google Home features Google showed off was called Visual Responses. As the name suggests, these were responses you’d get from Google Assistant queries through to a display. Think weather or calendar visualizations on a display with a Chromecast attached. Yesterday, the first of these Visual Responses began rolling out. Google posted a support page for the change last night, detailing the supported devices involved, in case you really need to see a weather visualization rather than just hear it spoken. Along with a Google Home unit, the support page says that you’ll need Chromecast (2nd gen) or a Chromecast Ultra running cast version 1.28+. If you have neither, a TV with Chromecast built-in may also work, again as long as it’s running cast version 1.28+. Chromecast (1st gen) and Android TV boxes are not currently supported, so that means all of us who own SHIELD TVs are out of luck. 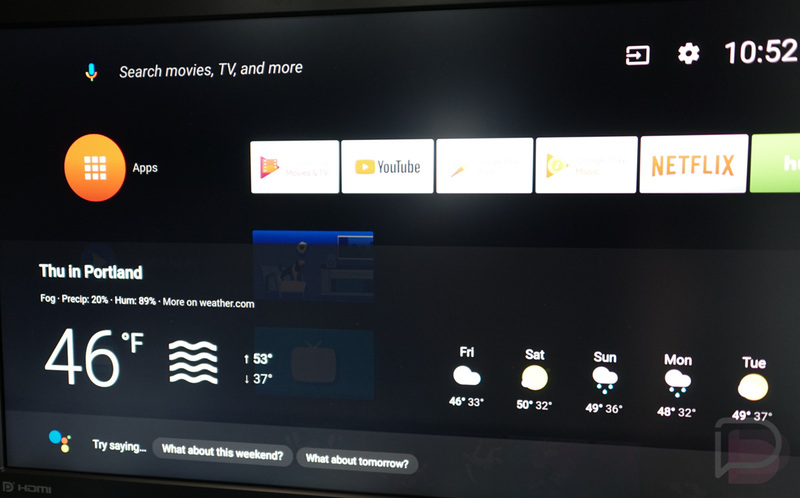 To get setup, assuming you have the supported goods mentioned above, you’ll head into your Google Home app, tap the Devices button in the top right corner, find the Chromecast you want to see weather on, go into its settings, and set it as the preferred TV. The full instructions can be found at the link below.